What's your favourite way to unwind? With a large G&T and a good movie. Bridget Jones' Diary. I see so many similarities between myself and Bridget! What box set are you addicted to? I'm totally addicted to Grey's Anatomy. I have all 14 seasons on DVD in the lorry and drive Zanie (my head girl) mad with the repetitiveness of watching them. James Corden (for giggles), Dan Carter (for his looks) and Holly Woodhead (because she’s my bestie and will come out with some classic comments). Anything that’s funny! I’m easily amused. I’m a very emotional person so it doesn’t take much to make me cry, both happy tears and sad tears. Dan Carter. I’ve been a massive fan for years. He’s gorgeous and would have so many cool stories about playing for the All Blacks [New Zealand's rugby team]. “Always believe in yourself.” Yogi Breisner told this to me just before I went cross country at my first Pony European Championships in 2005 and it's stuck with me ever since. Which is your favourite BE event? Badminton. There is no other feeling like walking under the arch into the stables at the biggest event in the world ... there is such a buzz about the whole week. 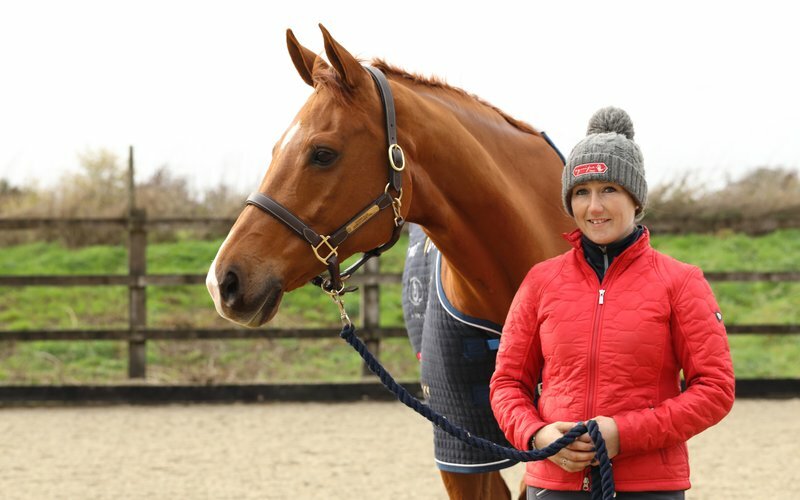 Read the full interview with Laura Collett in the January/February 2019 edition of British Eventing Life magazine! To receive the magazine, subscribe here or become a member here.